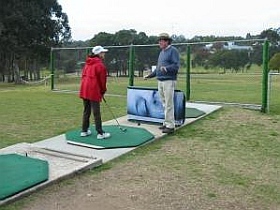 Over many years I have developed a unique approach to teaching golf, which focuses on drawing out a swing that is free-flowing and pleasurable. I have found that the traditional teaching method, which turns the swing into a technical jig-saw puzzle, creates so much tension and self-doubt that it is counter-productive. I feel that each of us has a natural swing and my job is to help create the conditions that will allow this swing to flower. In my experience these favourable conditions are the qualities of balance, relaxation and rhythm. So learning hinges on gaining an increased awareness of these qualities, and not on “trying to get it right” in the jig-saw puzzle tradition. It is interesting to note that when we work on balance, relaxation and rhythm, the so-called “fundamentals of good style” appear of their own accord. For example, a steady head comes about as the result of good balance, because the head only wobbles about when we are unsteady. Peter Lightbown P.G.A. 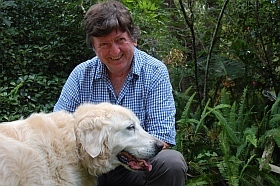 turned professional in 1972 and has taught golf extensively in Australia and in London, Denmark, and Malta, and now teaches in Sydney, Australia. Cecilia Croaker is a former librarian who edits and shapes Peter’s books, and other, golf reference books. Peter and Cecilia are the co-authors of the best seller The Fairway Within. They have co-written four other books – Golf’s Simple Secrets, Golf’s Simple Secrets – Illustrated, Golf’s Simple Putting Secrets and Golf’s Simple Secrets – The Short Game. 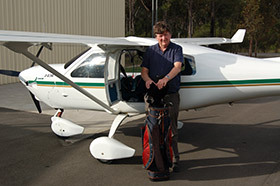 When not teaching golf Peter can be found flying his plane up and down the eastern seaboard of Australia and indeed he often flies to outback Australian towns to give golf lessons. 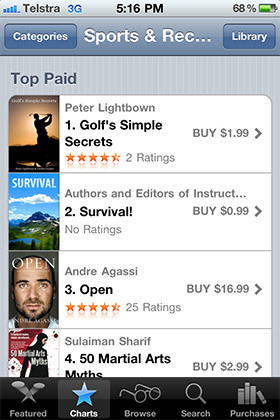 Peter and Cecilia are about to launch their 6th book in the Golf’s Simple Secrets series. The Fairway Within shows how to liberate yourself from the straitjacket of traditional techniques. In this practical book you will learn how to move freely and spontaneously, and so uncover your own innate swing.